After years of controversy and criticism, California’s Air Resources Board (ARB) has unanimously agreed to implement a carbon cap-and-trade program. The decision was achieved after 8 hours in a Sacramento meeting room that was packed to the brim with environmentalists, union workers, businesses groups, and board members. Although California’s cap-and-trade program is not the first of its kind (it follows behind the Regional Greenhouse Gas Initiative), it is the nation’s most ambitious carbon trading scheme to date. Once fully implemented, California’s carbon market will cover 85% of the state’s greenhouse gas emissions, including utilities, natural gas, industrial and transportation fuel sectors, cement factories, refineries, and other heavy industries. The new cap-and-trade program will set a cap on the amount of greenhouse gases Californian industries can release. The government then issues permits to each company, which allow a company to emit CO2 within the confines of how many permits it has. If a company emits more greenhouse gases than its number of permits allow, it must purchase more permits or carbon offsets. One of the key advantages to cap-and-trade is that it is less costly for industry than other systems (for instance a carbon tax). It allows individual companies to save money by implementing more efficient, less polluting technology, which makes them more competitive on the carbon market. One of the great things about cap-and-trade is that if a company has a surplus of permits because it emits less pollution, it can then sell these permits on the carbon market for a profit. California’s cap-and-trade program can be traced all the way back to the Global Warming Sollutions Act of 2006 (AB 32), and was one of 70 initiatives meant to reduce pollution to 1990 levels by 2020. 20% of California’s emission reductions are expected to be made by the new cap-and-trade scheme. Although the ARB has expressed strong support for the cap-and-trade program, unions, industry, and environmental justice groups have all expressed opposition to the new legislation. Unions fear the loss of jobs, industry argues they will be burdened by costs associated with the scheme, and environmental justice groups claim cap-and-trade allows industry to continue to pollute in poor areas by purchasing additional permits. Such widespread opposition gave way to a lawsuit, which forced the ARB to delay implementation of the carbon market in order to review alternative to cap-and-trade. 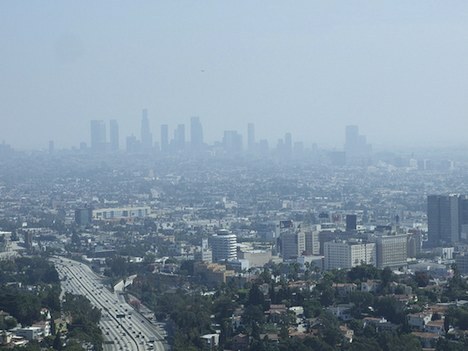 After a brief review period, the ARB has given the green light to California’s cap-and-trade system with the new program schedule to commence in 2013. How do you feel about cap-and-trade? Do you think it will be an effective way to reduce greenhouse gas emissions?